a inexpensive way to keep vibrant color in your yard and landscape through the fall! -Name Comes from the Greek "krus anthemon" meaning gold flower. 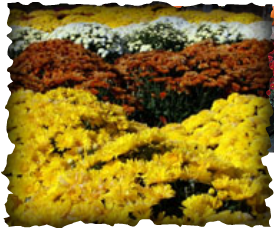 -Feng Shui adherents believe the chrysanthemum brings laughter and happiness to your home. 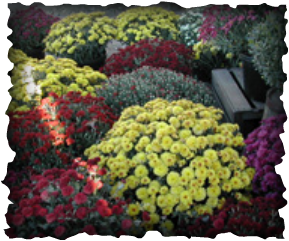 -"Mums" come in a range of shapes and sizes, including spiders, spoons, buttons and blooms.